When organizing and caring for your home, it is easy to overlook the garage. It can become a place where items that do not have a place get put. Boxes can begin to pile up along with dust and other undesirables. However, garage care and organization are simpler than they may seem. 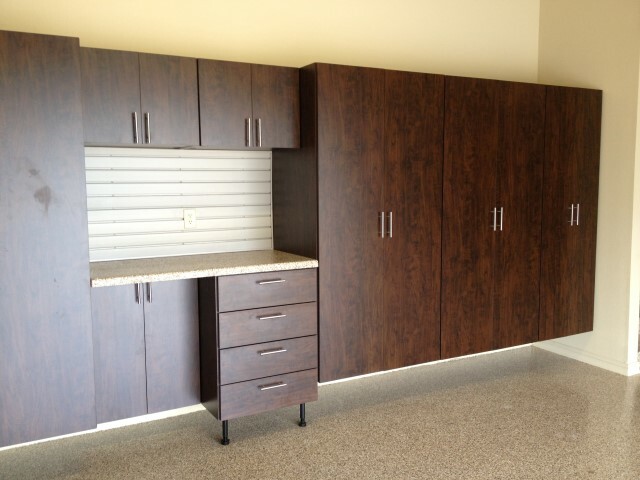 An innovative and professional company can help transform your space by designing and installing garage cabinets specifically for your needs. It is easy to place boxes or other items that you do not always use out in the garage. However, these items quickly become lost in the shuffle. Finding the right cabinets will help to move your belongings out of boxes and into areas where they are easy to locate. Good shelves can also help you store items that may not necessarily have their own place in the house but are only used on rare occasions. Drawers can add locks for valuables or other things that you may not want everyone to have access too. An expert can help you design the right storage for your needs. Garage cabinets can also be used to organize outdoor maintenance items such as shovels, rakes and other tools. These items can easily pile up inside your garage without a good storage solution. By having a professional come in to assess your needs, they can order and install the right product to help you clean and find everything you might need. The perfect tool to organize a typical carport is garage cabinets. They are a beautiful, strong, durable and customizable tool that will help a neglected space turn into one of your favorite places. Never lose your hammer or nails again. Help the kids always find the sports equipment they are looking for. Find a professional and innovative garage storage company to help you make the most of your space today.